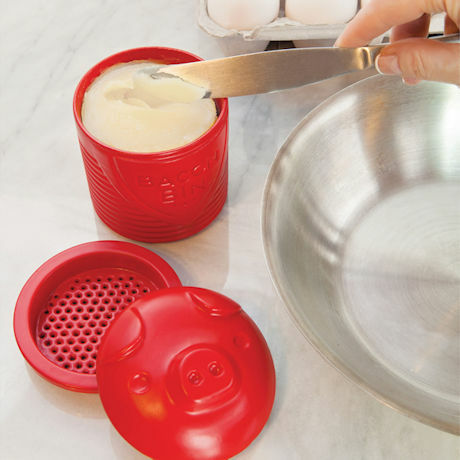 Cute storage and/or easy disposal for bacon grease. 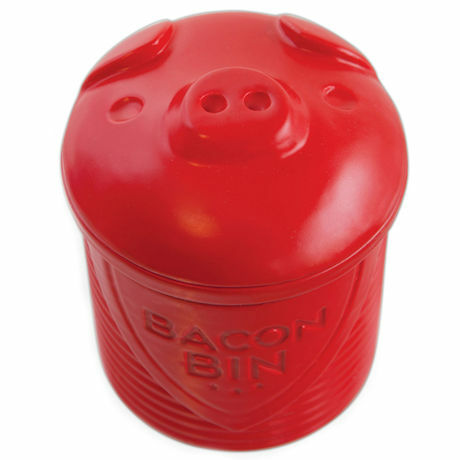 Bacon Bin strains the grease and keeps it fresh for future cooking. Or, if you prefer, let the grease cool and tip it into the garbage with a spatula. BPA-free, FDA approved silicone. Safe up to 500ºF. Dishwasher, microwave, fridge, and freezer safe. 3" diameter, 4" high.